Lance Corporal William J. Leusink was born on 23 February 1985, in Orange City, Iowa. He joined the Marine Corps right out of high school enlisting on 28 July 2003. He went to Marine Corps Recruit Depot San Diego on 24 October 2003. Upon graduation from boot camp, Private First Class Leusink headed off to School of Infantry West. From there he reported to 3d Battalion, 3d Marines, on 17 April 2004, and was assigned to 2d platoon, Company K. On 1 June 2004, Private First Class Leusink was promoted to Lance Corporal. Prior to deployment to Afghanistan with 3d Battalion, 3d Marines, Lance Corporal Leusink married his long-time sweetheart, Miranda. He deployed to Afghanistan with Company K, 3d Battalion, 3d Marines, in support of Operation ENDURING FREEDOM, and returned from that deployment on 18 June 2005. Upon returning from post deployment leave, Lance Corporal Leusink became the platoon radio operator. Lance Corporal Leusink deployed again with Company K, 3d Battalion, 3d Marines, this time leaving on 11 March 2006, bound for Haqlaniyah, Iraq, in support of Operation IRAQI FREEDOM where he was killed on 22 May 2006. LCpl Leusink’s personal awards include the Navy and Marine Corps Achievement Medal with Combat Distinguishing Device, the Purple Heart and the Combat Action Ribbon. Lance Corporal Leusink is survived by his wife, Miranda, his father, William Leusink, and his mother, Elaine Leusink. “I would ask that all Americans join me today, and add to the more than 1,100 Iowans who attended his funeral, in remembering and honoring Lance Corporal Leusink. The loss of this courageous and patriotic American is felt throughout Iowa and in particular the town of Maurice where he grew up and graduated from Sioux Center High School. My thoughts and prayers are with Lance Corporal Leusink’s wife, Miranda, his parents, Bill and Elaine, his brother and two sisters as well as all those other family and friends who are grieving the loss of this young man. “Lance Corporal Leusink, who I understand was known as “B. Jay” among family and friends, will be remembered for his faith, athleticism, and patriotism. His faith was especially important to him. Just as he often took with him to the football field his favorite verse, Phillipians 4:13, written on tape, it was this faith that led him to enlist to serve his country. Heroic achievement in the superior performance of his duties while serving as Radio Operator, 2d Platoon, Company K, 3d Battalion, 3d Marines, Regimental Combat Team-7, I Marine Expeditionary Force Forward, from March to May 2006, in support of Operation IRAQI FREEDOM. Displaying consistently high qualities of leadership and dedication in the execution of his duties, he excelled as a platoon radio operator. Participating in over 60 combat patrols, two company level operations and four detention operations, he displayed an exceptional level of tactical and technical expertise. An infantryman by trade, he maintained a proficiency level in radio and communications knowledge unsurpassed by any of his peers. He assisted in the development of the platoon’s fire team leaders and trained the Iraqi Army soldiers in basic tactics and radio procedures. During a Marine and Iraqi Army dismounted security patrol, Lance Corporal Leusink was mortally wounded by an improvised explosive device as he dutifully manned his radio. 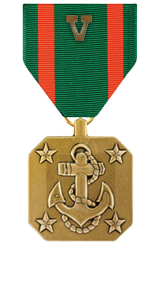 Lance Corporal Leusink’s initiative, perseverance, and total dedication to duty reflected credit upon him and were in keeping with the highest traditions of the Marine Corps and the United States Naval Service.